The Mirpuri Foundation believes that sailing is a sport that brings young people closer to the sea and thereby alerts them to the grave problems facing oceans today, and consequently mobilizes them to take part in a solution to the problem. The Foundation has developed several initiatives to benefit this sport and is very pleased to sponsor the Cascais Naval Club’s Sailing School, to whom the foundation recognizes and attributes merit for much of what has been done in Portugal in the area of sailing. Projects in the area of ​​Marine Conservation have reached a certain prominence and are particularly cherished by the current administration, who has been working to raise awareness towards the serious problems facing our oceans, such as pollution, acidification, rising temperatures, rapid destruction of corals, bad fishing practices and the risk of extinction for several marine species. 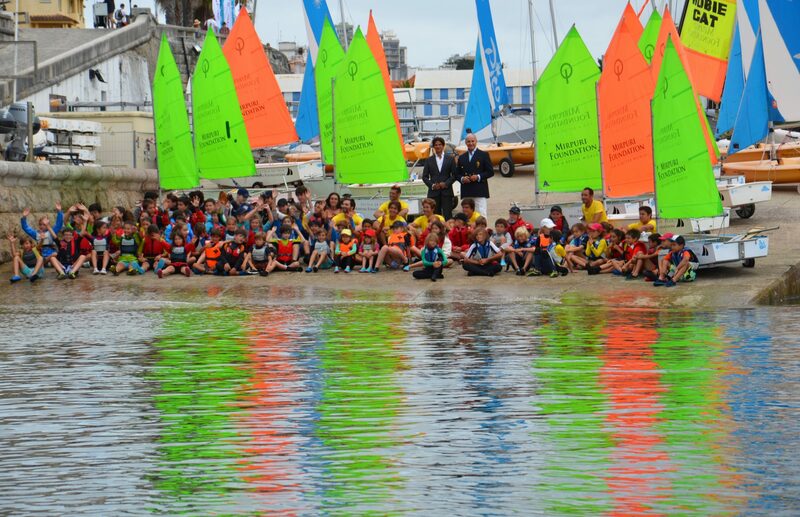 The main goal in supporting the Sailing School of the Cascais Naval Club is to alert youths to the problem facing our oceans, and consequently, make them more sensitive towards promoting its sustainability.